Turn on your family’s taste buds with this simple recipe that’s made more delightful with NESTLÉ ALL PURPOSE CREAM! 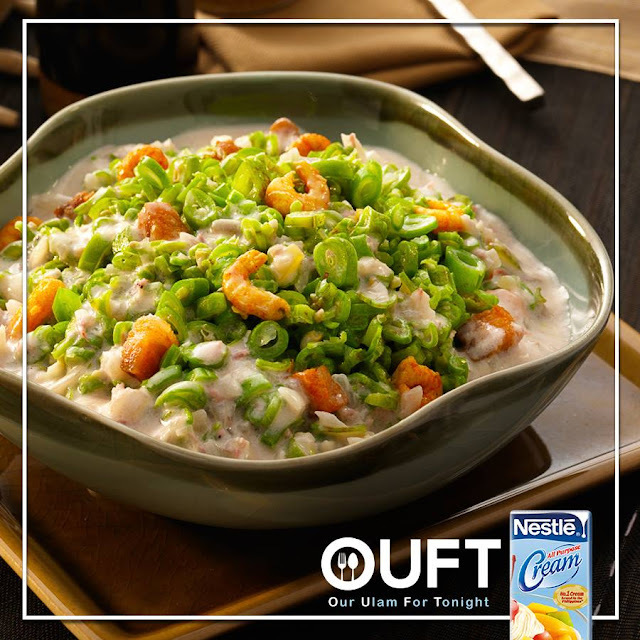 Try our Baguio Beans Gising–Gising ala Nestle All Purpose Cream for our ulam for tonight! 1. Heat cooking oil, sauté garlic, and onion until limp. Add pork and cook until slightly brown in color. Add bagoong and continue cooking for another minute. 2. Stir in chopped Baguio beans, add Maggi Magic Sarap and continue cooking for another minute. 3. Pour in Nestle All Purpose Cream. Simmer for another 5 minutes or until slightly dry. Serve immediately.